Dog aggression is categorized as the most serious behavior that a dog can engage in. A dog that is aggressive towards humans or other dogs is certainly not that pleasant to have around, but very few dog owners are prepared to deal with this serious and life threatening problem. The root causes of dog aggression is often misunderstood and poorly described. Many perfectly normal dogs are destroyed every year over what is perceived as aggression, while others have their dangerous behavior excused away without any real effort to change it. Some dog aggression can be seen in a dog as early as a few months of age. Although rare, it does occur. If you are experiencing aggressive behavior from your dog, we are here to help you determine the cause and whether your dogs’ aggressive behavior can be successfully managed. The Consultation for dog aggression is used specifically to determine the type of aggression and the feasibility of a training protocol for the individual dog. Training of aggressive dogs, whether the owner is experiencing dog-to-dog aggression or aggression to humans is often mis-categorized and misunderstood. 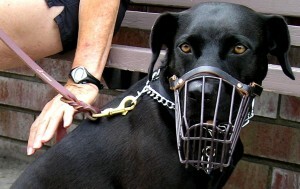 This is a counseling session based on experience with dogs classified as ‘aggressive’. Whether it is based on a defensive, fear component or offensive, overt aggression; the underlying reasons are usually always misinterpreted by the owner. Our Dog Aggression behavior counseling is a realistic approach with definitive solutions for your dogs’ aggressive behavior. Learn how to manage your dog correctly and safely and learn the tactics necessary to achieve alternatives to his aggression. Highly effective for the owner committed to resolving these issues. Consult duration often exceeds 3 hours, all adult family members must be present. Contact us at 443-201-8231 to schedule an in-person consultation. Is your dog aggressive or fearful towards other dogs or people?